Find the cheapest and best flights to Beijing on JustFly (great fares) or Momondo (best for Business Class tickets) for the best deals on the internet. Whenever I know that I'm staying at the Ritz, I get slightly excited. 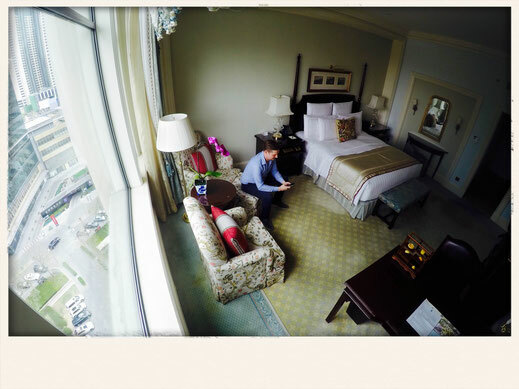 My first time checking in at a Ritz-Carlton was in Dubai a few years ago. It is pure luxury can't be topped in many cities. You really know what you'll get and it's worth the experience alone to feel the magical aura this place seems to have. As soon as I entered the lobby, I knew that this was going to be an amazing experience. The staff were over delivering, the room was truly classy, and the Club Access totally worth it. The hotel is located in Guomao, the central business district of Beijing. 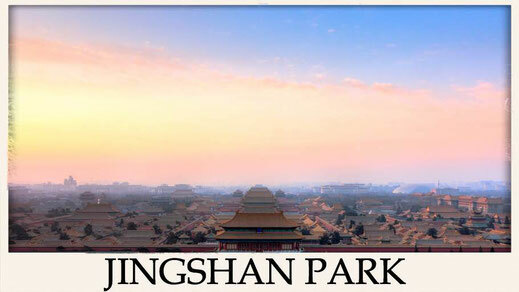 A short subway or Taxi ride to the hotspots such as the Tiananmen Square and the Forbidden City. Plenty of high-end shops are located right at the doorstep as well. The hotel features a spa which is spread over a spacious area of 2,500 square meters. A huge pool, a gym with city view, and treatment rooms that are at your service. It is really a place where you get the possibility to relax and forget about the every day stress. 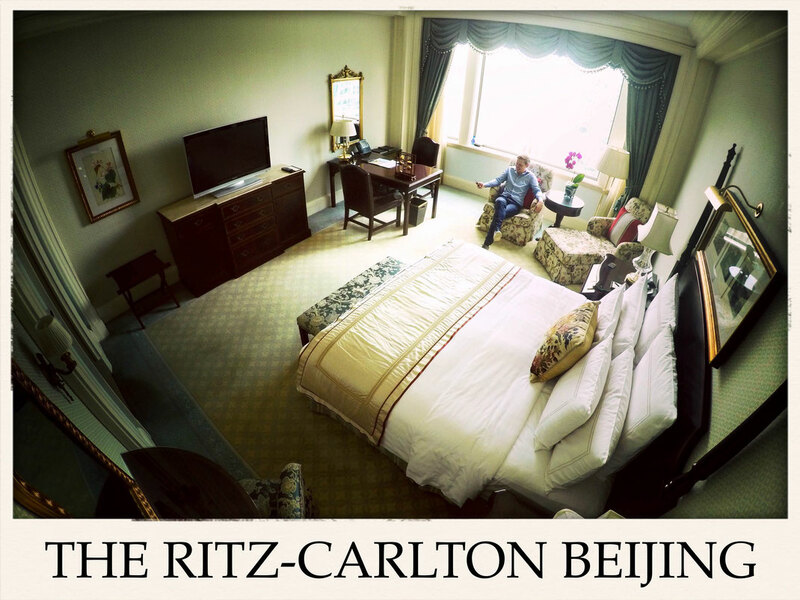 The Ritz Beijing has 305 guest rooms which also includes 38 suites and 61 Ritz-Carlton Club Level rooms, which are located on the upper levels. 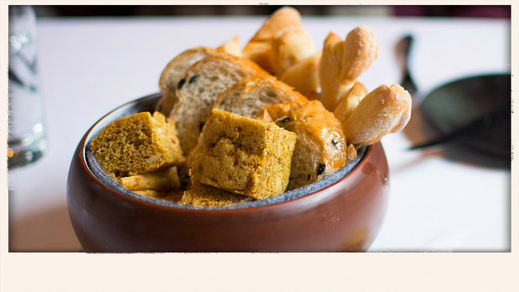 The club offers a perfect continental breakfast, a light lunch which gets you through the day. The afternoon tea is also served as well as a buffet dinner. A wide variety of wine and international beers are available. Not to forget the cheese you should try with your Cabernet Sauvignon or some Western Australian Shiraz. You feel like some Chinese Food? No problem, the YU Restaurant got a table ready for you. 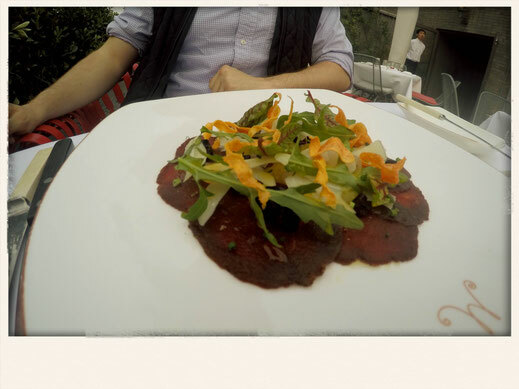 Italian Cuisine anyone? The Ritz has also covered that at the Barolo. 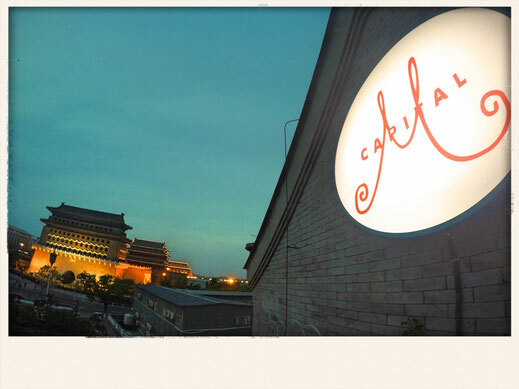 Where to eat in Beijing? 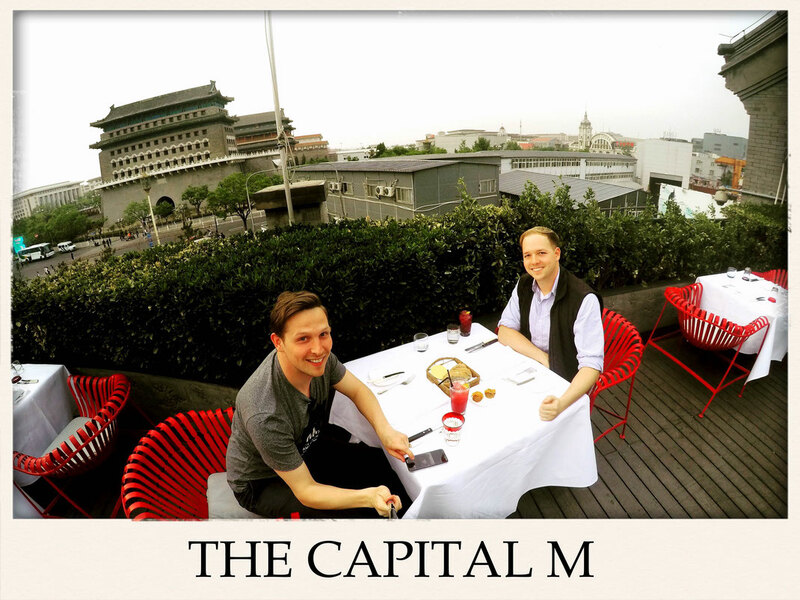 If you wanna combine a great view with a mouth watering dinner then you should definitely book yourself a table at the Capital M. The award winning restaurant is conveniently located between the worlds biggest city square 'Tian'anmen' and the famous Qianmen pedestrian street, the oldest shopping street in China! I can highly recommend the Seafood broth of prawns, scallops, and clams as a starter, which goes really well with the fresh bread given. After the soup you should try the Ribeye with those very delicious leek dumplings, which I think are a real masterpiece. My friend Roddey went for the Fesenjan e-Khoresh Duck with crushed walnuts on rice with cooked-slow orange peel, carrots, and saffron. The real superstar was unquestionable my dessert. When I told the waiter that I was going for the Lemon Pudding he responded with a huge smile on his face which clearly indicated that I made the right choice. I was been rewarded with an amazing feast for my taste buds, it kinda reminded me of that amazing cheese cake I had at the Mandarin Oriental in Hong Kong's best restaurant last year. The Beijing Nuo Hotel is located near the famous 798 Art District at Dashanzi. The Hotel looks quite innocent from the outside but as soon as you enter the lobby and you'll be greeted by those oversized Ming inspired vases, and you'll certainly change your mind. The Hotel is part of the Kempinski Group and will eventually become the new luxury flagship of the chain, since there are more NUO Hotels planned around the globe. 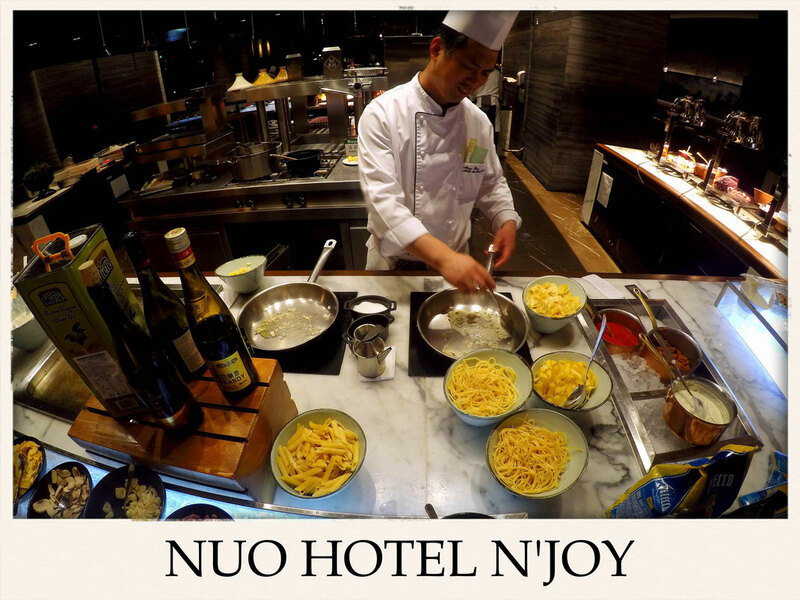 The N'joy Buffet dinner gives you a wide choice of all sorts of food. It's a deli styled restaurant. You can either kick off at the Japanese Sushi Bar or perhaps start with some Italian Cold platter. Those are followed by Arabian section as well as the Sea food buffet which offered fresh fish from Iceland! If you like traditional Chinese dumplings you should check out the dumpling bar. The chocolate fountain is a real eye-catcher for your dessert. Overall the N'joy Buffet offers more than you could possibly eat. 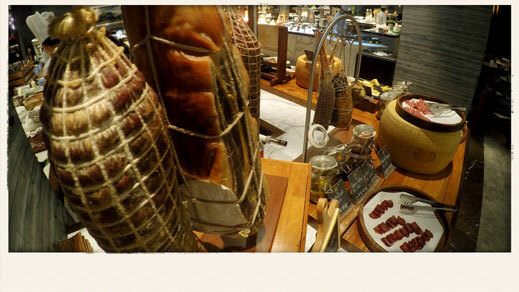 The Sunday brunch is really popular and it is recommended to book way in advance, but it worth it. In Tripadvisor we trust, right? If you happen to do so, then there is no way around the TRB Temple Restaurant which is the dominant figure when it comes to places to eat in Beijing. 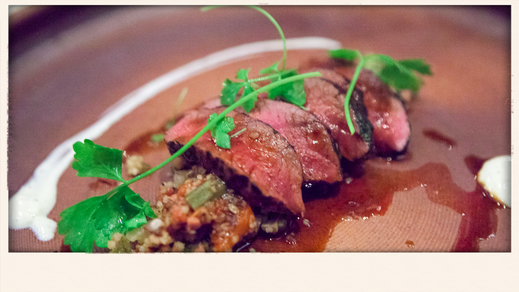 The TRB offers some pretty fancy food, mostly European Cuisine with some of the best wines around the world. 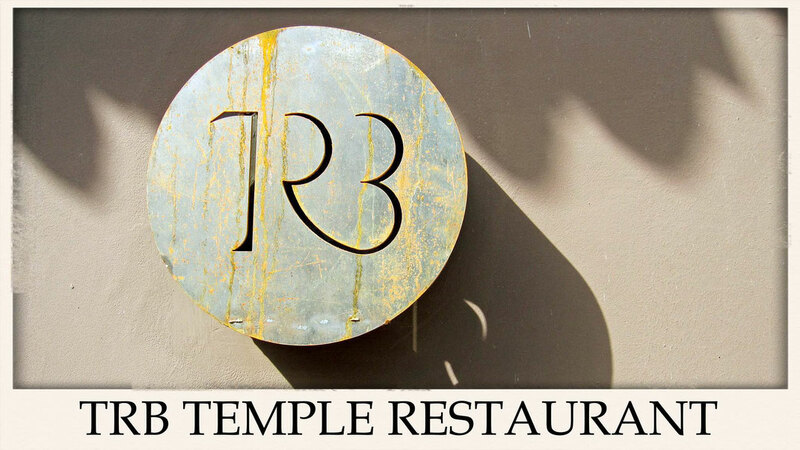 The location is an old temple, home to worshippers is now a holy place when it comes to fine dining. Starting from the welcome you'll receive, capable staff and excellent service are just a few trademarks of the TRB. I'm glad I got to experience this place myself. Make sure you book in advance. Say 'Hello' to Chairman Mao! Who doesn't enjoy the bright, happy smile of Chairman Mao's portrait at Tian'anmen? Well his impression ain't that easy to interpret but while his face is hanging at the gate to the Forbidden City his body is just being preserved across the square. First of all, make sure you avoid the area on any given holiday, because the amount of people coming to hang out there will just drive you insane. But that pretty much applies to any scene in Beijing on a day off. The second problem is the heavy security at and around the square which are quite annoying, frankly speaking. But, all the hot spots of China's capital are located around the square. 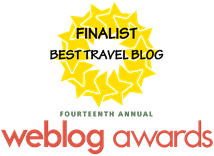 The Forbidden City, Qianmen Street, the National Museum of China, the Great Hall of the People, Mao's Mausoleum, and monument of the People's Hero's, just to name a few. The square is easily reachable by public transport and many restaurants are available in the area. 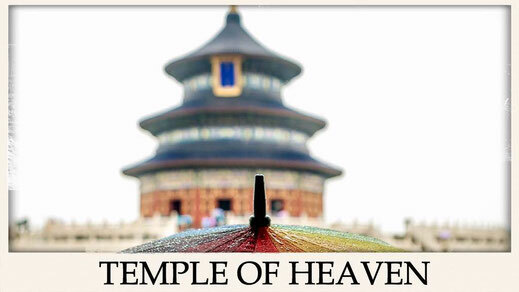 The Temple of Heaven is a must see during your Beijing visit. The triple-gabled circular building is 38 meters tall and was finished in 1420. Which makes it one of the oldest buildings in China's capital. The area around the temple is popular among old chinese people which come here to sing, work out and socialise. You're a fan of modern architecture? The headquarters of Chinese National TV might be your place of interest then. In the heart of Guomao, also known as the Central Business District, short CBD is the home of the most famous 'pair of underwear' as the locals ironically call it. Do you still remember the heroic opening ceremony of the Beijing 2008 Summer olympics? Yes, me too! 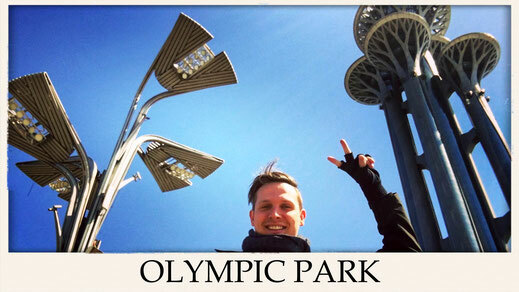 There are few hot spots you should visit in the park, such as the Olympic Stadium which is better known as the 'Bird nest', the 'Mushroom' towers or the water cubical. It's also a nice place to jog! 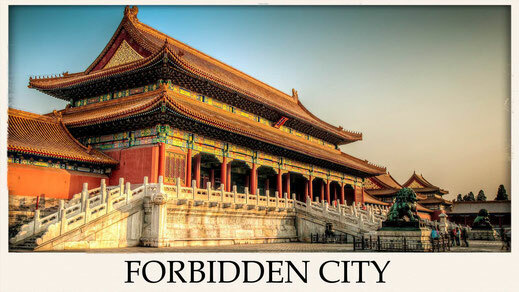 The Forbidden City, Constructed from 1406 to 1420 is one of the largest Palace complexes in the world with over 980 building which are all part of the UNESCO world heritage program. 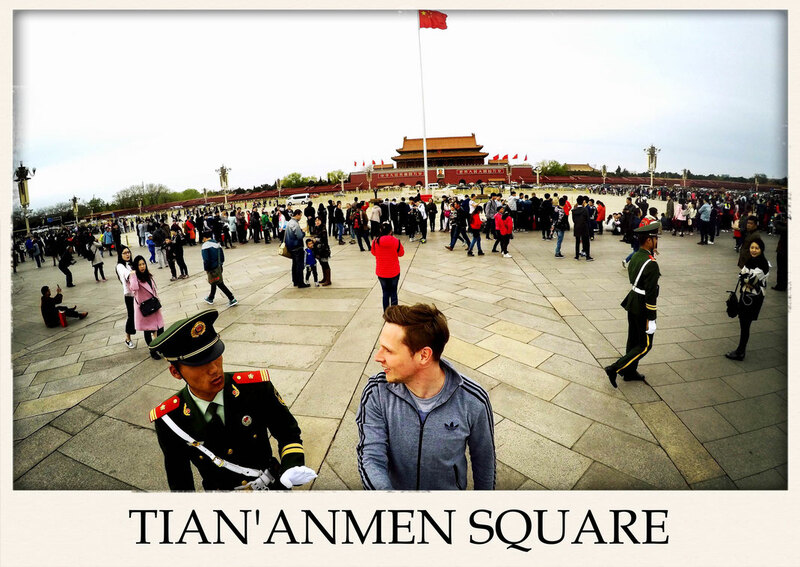 It's located right next to Tian'anmen and usually takes around 2 hours to visit the city. 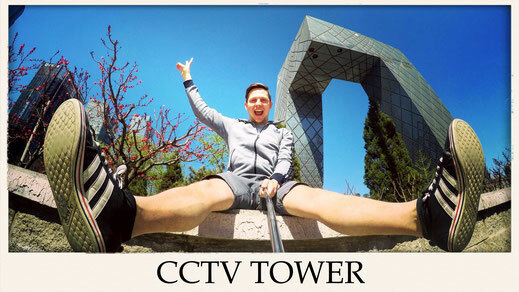 If you want to get a perfect view over Beijing, the Forbidden City or stand in the center of China's capital, then this is where you should go. The Coal Hill or Jingshan Park has a beautiful lookout and it's located in the heart of the city and the entrance is for free. 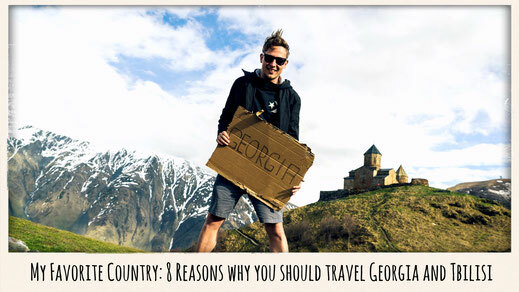 It's a must go! 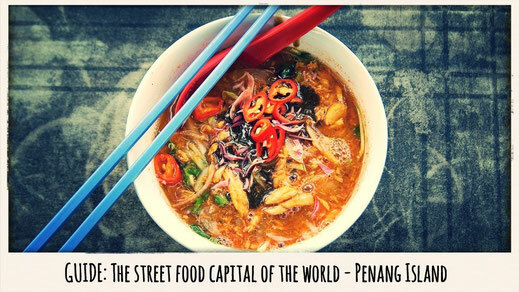 Do you like to shop and to try some exotic food? Wangfujing is your kinda place then. 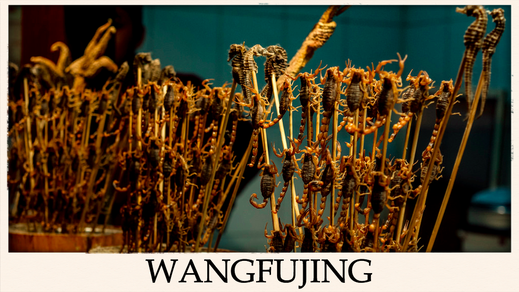 Only one stop away from Tian'anmen you'll find the shopping district and the famous Wangfujing food mile which offers deep-fried sheep testicles, scorpion skewers and roasted tarantula, mouth-watering isn't it? Where to hang out in Beijing? If you're hunting for hookah, ice cream, and cotton candy this is where you need to go! Houhai is all about live music, good food, and the place where you find the perfect souvenir for your loved ones back home. Oh and the place is situated around a cute little lake which is welcoming you for a little boat trip! Don't miss out. 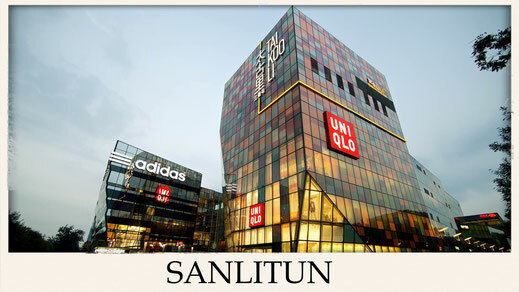 Sanlitun is the hang out for expats, party animals and people who love to shop. 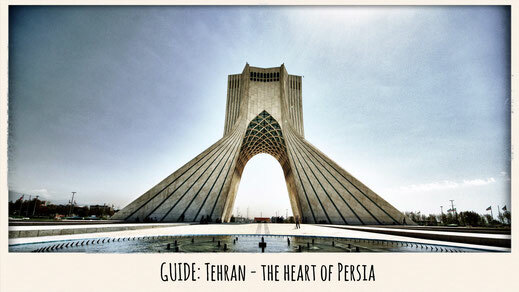 An oasis of western life in a city of millions. An escape from your busy week and a place where you socialise. There isn't anything you can't find here and it is where the nightlife happens. Go check it out, you won't regret. Ever wondered where the students hang out in Beijing? On Subway Line 13 of course. 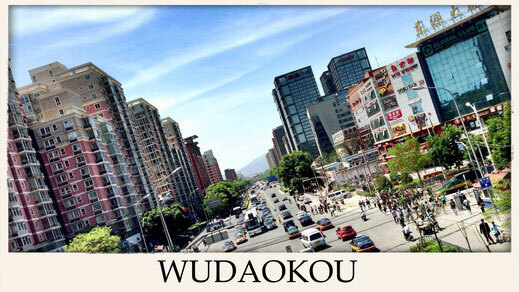 Wudaokou is home to a couple of Universities and their respective housing. One thing needs to be said, it can get quite messy here on a good Friday night out. Wudaokou bars are also home to the best deals in town! 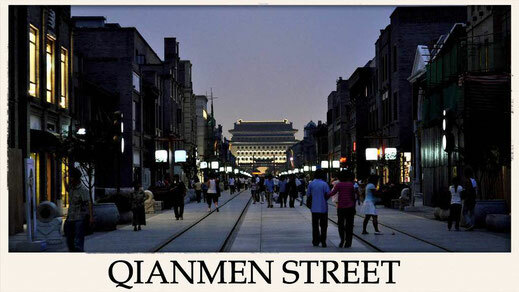 Qianmen has been an ongoing party for the past 600 years and there is no end in sight. The oldest shopping street in China is a place to do all kinds of shopping, get some smoothies and get some extra ordinary food. 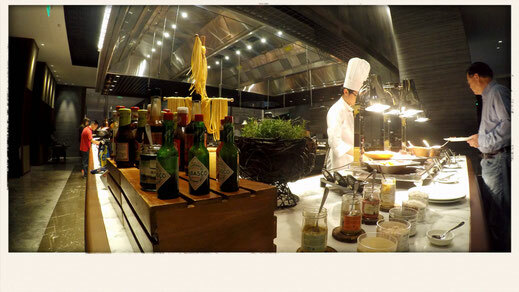 Located right in the heart of Beijing this mile can't be missed. All you need is an onward ticket leaving China within 72 hours of your arrival. 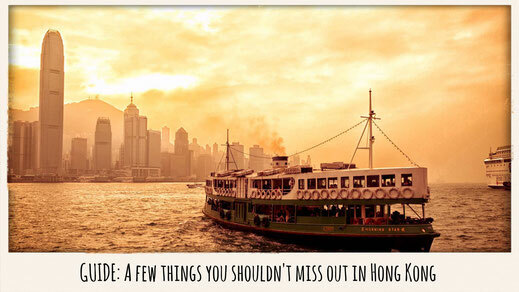 Including flights to Hong Kong and Macao. When board your flight to China make sure you have your tickets ready to present since you don't have a China Visa which they will ask for at the check-in counter. Beijing International Airport offers a FREE! Luggage storages for Transit passengers at the Baggage collection area. As a frequent flier, I usually book my trips on JustFly (great fares) or Momondo (best for Business Class tickets) for the best deals on the internet. Oh and let me share another travel hack with you, need a taxi from the airport? Try out Blacklane. They will wait for you with a sign, take you to wherever in a luxury car and charge just as much as a Taxi does! Amazing service. 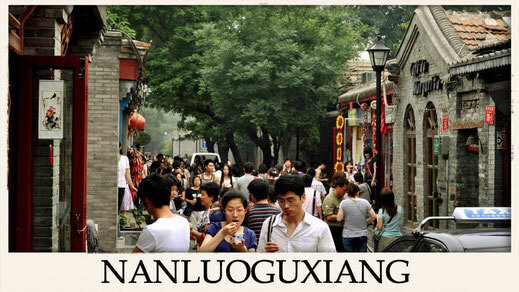 What is your Beijing Hotspot?